One of the first materials ever used to make doors, wood offers an exceptional beauty to go with an endless list of benefits. Wood doors are made out of a bevy of different wood species, from cherry, to walnut, to hickory, to mahogany, to pine, and much, much more. We here at Aspen offer a wide variety of wood doors, all of which are manufactured by our reliable supplier, Simpson Door Company. Whether you’re looking to buy a wood door, or are in need of door installation services, we have you covered. Call Aspen today to discuss your needs! Wood doors come with a number of pleasing characteristics, offering high-end durability, functionality, and aesthetics. When properly cared for, wood doors can last for a very long time. Conservative estimates are around 40 years. However, in most cases, wood doors will last just as long as the homes which they’re installed. The reason that wood doors last so long is that they’re highly resistant to physical trauma, often withstanding abuse without so much as a ding or a scratch. Not to mention, as long as they’re properly treated, they’ll withstand moisture and sunlight exposure as well. If you want a door that grows with you as you age, wood is a terrific option. The door installation experts at Aspen can install it for you! Because it’s been used for so long, wood evokes an air of timelessness. It’s a classic material that’s equal parts sentimental and luxurious. 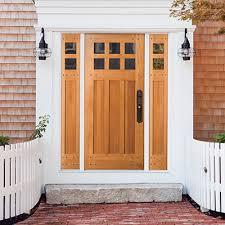 By installing a wood door on your home, you will be instantly improving your home’s aesthetic. A number of different wood species are used to manufacture wood doors, from cherry, to walnut, to maple. Each of these species provides something different in the ways of texture, color, and overall appearance. Thick and dense, wood is one of the best insulators available. For this reason, wood doors supply homes with terrific energy efficiency. They are extremely effective at prohibiting the inward flow of heat and cold, killing drafts and reducing the costs of energy bills. 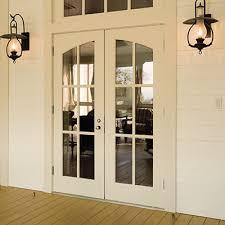 If you want to save money on electricity and gas, a wood door can be a great help. Because it can be sculpted and shaped, wood can accommodate a number of different styles. There are tons of different types of wood doors available for purchase, all of which have their very own identity. 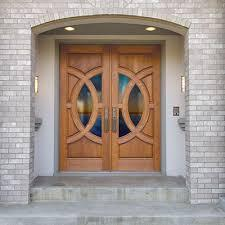 Some wood doors have a rustic aesthetic, some wood doors have a polished aesthetic, some wood doors contain glass, and some wood doors are entirely solid. Whatever style it is that you’re looking for, wood will accommodate it. Working with the door manufacturers at Simpson Door Company, Aspen offers a huge collection of wood doors for you to choose from. Whether you’re looking for solid wood doors, wood/glass hybrid doors, smooth wood doors, rough wood doors, or otherwise, Aspen and Simpson can get them for you. If you’re interested in installing a new wood door in Chicagoland, the professionals at Aspen Exterior are the people to see. 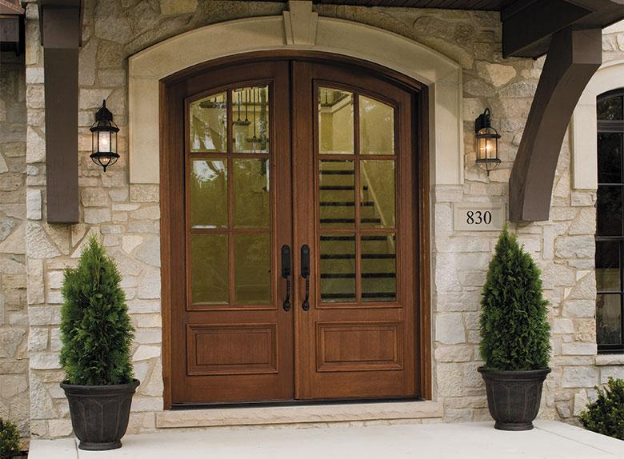 Since our establishment in 1978, we have installed a great many wood doors on homes throughout the Chicagoland area, offering nothing short of exceptional service to each and every one of our valued customers. By choosing Aspen Exterior for your wood door, you will receive a quick and professional door installation which is backed by a a 10-year labor warranty. Schedule an appointment by contacting Aspen at (847) 590-5600!